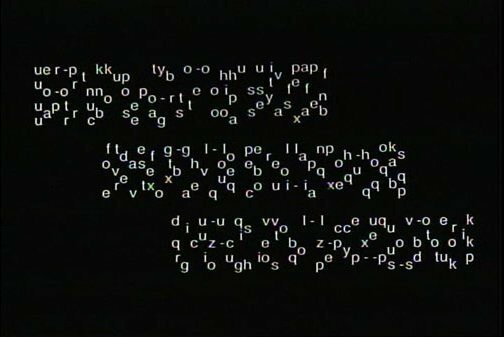 New York based media artist and theorist Keith Sanborn joins us at MICROSCOPE Gallery on October 9th 7PM for a rich program of his radical video works. Keith Sanborn’s work has been included in major survey exhibitions such as the Whitney Biennial, the American Century, and Monter/Sampler and festivals such as OVNI (Barcelona), The Rotterdam International Film Festival, Hong Kong Videotage, and Ostranenie (Dessau). His theoretical work has appeared in a range of publications from journals such as Artforum and books, such as Kunst nach Ground Zero to exhibition catalogues published by MOMA (New York), Exit Art, and the San Francisco Cinematheque. He has translated into English the work of Guy Debord, René Viénet, Gil Wolman, Georges Bataille, Napoleon, Paolo Gioli, Berthold Brecht, Lev Kuleshov and Esther Shub among others. He has also acted as an independent curator, working with such institutions as the Oberhausen Short Film Festival, Exit Art, Artists Space, the Pacific Film Archive.